Today, much of the Middle East is thriving with immense opportunities for foreign investment and continued economic growth. Although each nation’s economy differs from the next, much of the Middle East’s wealth comes from its vast oil reserves and natural resources. Banking and tourism follow closely behind as major contributors to the region’s GDP. Increased wealth, spurred by a liberalization of trade policies and the rise in oil and gas prices, has led to irreversible changes in the region’s lifestyle and nutritional habits, and with it, a rise in the prevalence of lifestyle-related ailments and a corresponding demand for appropriate medicines and healthcare provision. Adjunct to this are regional governments’ policies intended to encourage foreign SMEs and multinationals to invest in the region, bringing with them the additional benefits of creating gainful employment, improved domestic know-how of pharmaceutical manufacturing processes and health care implementation, and going some way towards the long-term goals of diversifying their economies away from oil dependency. The GCC (Gulf Cooperation Council) countries are seeing a case of demand for healthcare services outstripping the supply and private sector has to supplement the efforts of the government to meet this demand. This means several attractive opportunities for private sector players who are committed to this industry. The next 20 years are likely to see continued growth in demand for pharmaceutical products in the region notwithstanding governments’ valiant efforts to curtail their health care budgets, and the long-standing regulatory challenges facing the sector, the outlook for the medical/pharmaceutical industry in the region is certainly a strong one. The development of private sector healthcare in a country is a measure of how advanced a country is. For those wishing to take advantage of the opportunities in the lucrative healthcare market, it is essential to have a deeper understanding of the causes of: the growing demand for those services (above mentioned); the underlying economical trends. Both of this factors will heavily shape GCC healthcare market and consequently a remarkable part of the Middle Eastern economy. Factors such as infant mortality and life expectancy at birth continue to improve since our previous evaluation. However at the same time, the increase in the incidence of lifestyle diseases is a disturbing trend. Healthcare costs in GCC are on the rise due to increasing use of new and advanced technologies as well as high pharmaceutical costs. Studies reveal that new medical technologies lift healthcare costs by 38–62%. While there is a good pipeline of hospital projects, there is a quicker growth of smaller clinics and ambulatory centers to serve untapped markets in new residential developments, besides involving low investment and generating quick returns. Authorities adopted e-health services. These advancements automate processes and, in turn, enhance quality and cost efficiency. High investment projects and new regulations to ensure international healthcare standards are expected to impact the GCC region‘s medical tourism potential. Low-cost advantage compared to developed nations is expected to generate substantial market share for GCC‘s healthcare industry in the broader global space . Combining growth factors as expanding population and increasing share of aging citizenry, disease prevalence, medical cost inflation to assess the current and forward market scenarios in primary, secondary and tertiary healthcare services, the industry outlook shows how the GCC healthcare market is projected to grow at an annual rate of 11% to USD43.9 billion by 2015 from approximately USD25 billion in 2010 . Outpatient and inpatient markets are expected to account for 82% and 18%, respectively, of the overall market size. 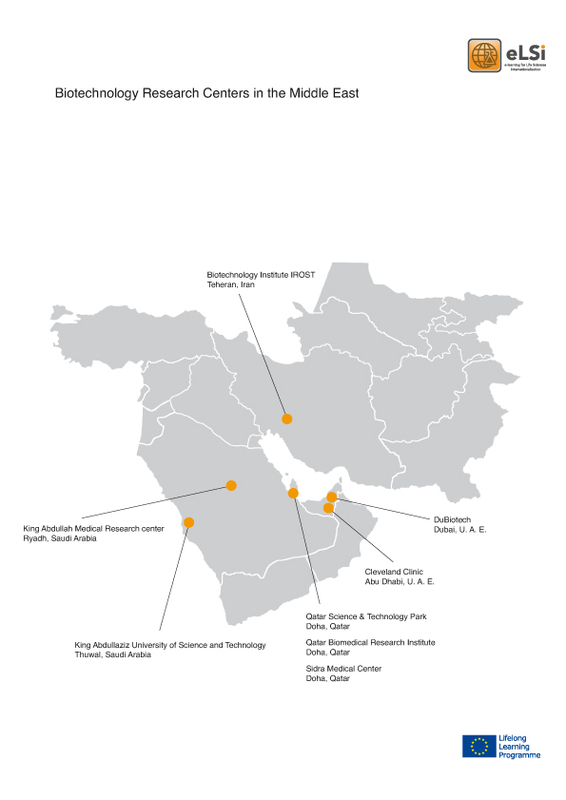 A rapidly growing population, increased incidence of lifestyle-related diseases, ever greater demand for higher standards of health care provision, a gradual improvement in the regulatory environment, and contin- ued government efforts and incentives to attract foreign firms to the region will underpin the business case for the life sciences sector in the Middle East countries in the foreseeable future.